There are some occasions where going halfway just won't cut it and if you're looking to throw a party that every guest will remember, our King Package party keg rental can help you do it. 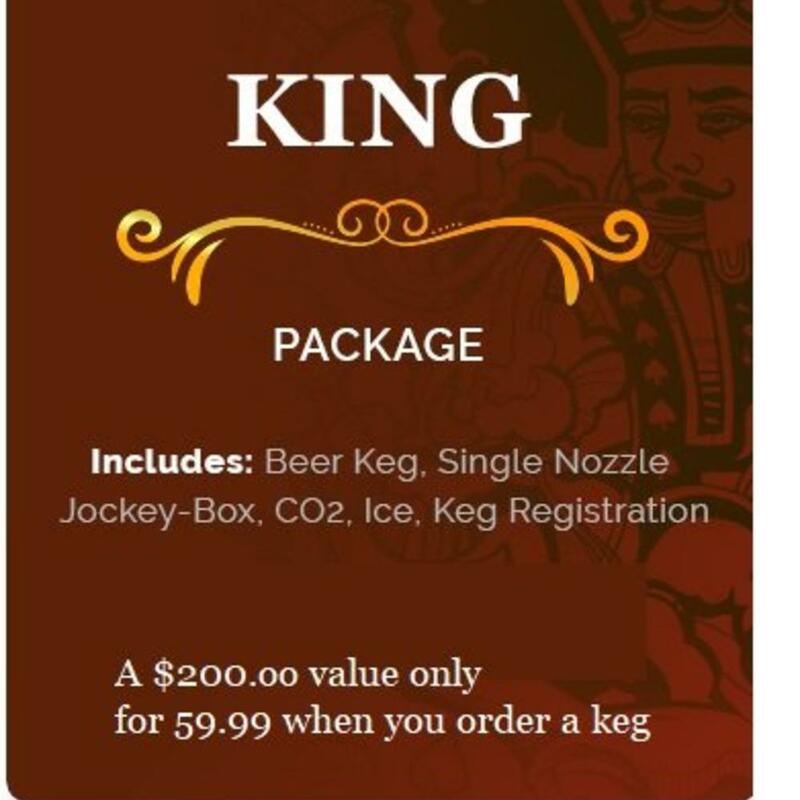 Our King Package is the deluxe level of party keg rentals, coming complete with a keg of wine or keg of beer of your choice, a single-nozzle jockey box, plenty of CO2 to charge your keg, enough ice to keep the beer cold all day, and your keg registration, all in one easy rental. 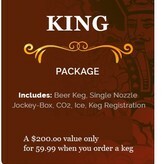 That's a $115 value, and you get it all for just $59.99 when you order one of our kegs! King Keg has been serving Manhattan Beach, Redondo, Hermosa, El Segundo, and the greater LA area with world-class keg rentals and kegerator services for years, and if you're ready to truly pull out the big guns for your next party, nothing beats our King keg party rental package. 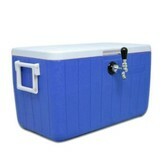 Reserve yours online today!